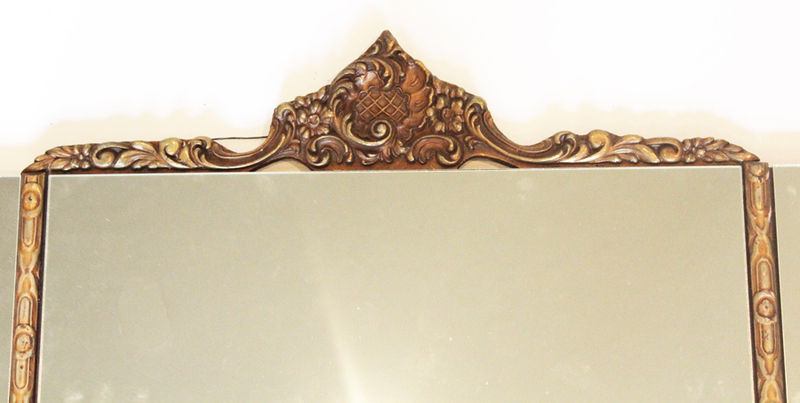 THIS IS AN EXQUISITE OLD MIRROR THAT HAS WONDERFUL OLD ROSETTES AND AWESOME GESSO DETAILING. 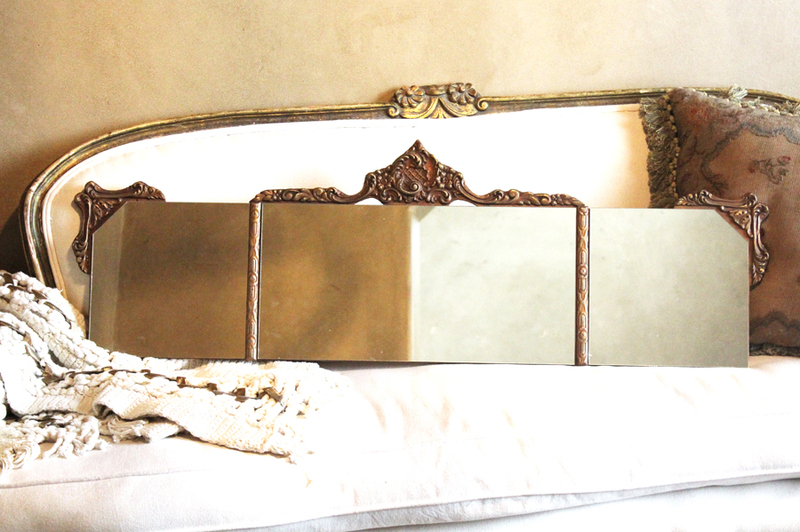 THIS IS A VERY RARE MIRROR, WITH THREE MIRRORS, AND THE TOP HAS SUCH GORGEOUS DETAILED GESSO DETAILS! This is just an amazing old mirror. The gesso detailing is wonderful and so detailed.. It is heavy for its size and has a good hanger on the back. This is gorgeous and a very solid mirror that would be fabulous either alone or with a wall of old mirrors in your home. Measurements are 45 inches wide by 14 inches tall.